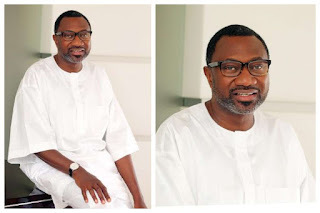 Femi Otedola, a businessman and Chairman of Forte Oil PLC, has “accepted” the offer of a governorship ticket by the Peoples Democratic Party (PDP). According to Dele Momodu, Publisher of Ovation magazine, Otedola “personally confirmed” the news to him, meaning he will run against Akinwunmi Ambode, the incumbent Governor and candidate of the All Progressives Congress (APC), in 2019. "Breaking news: Lagos 2019 promises to be interesting. PDP offers Femi Otedola governorship ticket. He's accepted and personally confirmed to The Boss newspaper," Momodu wrote. Otedola’s emergence comes a day after Ambode officially declared interest in a second term, telling supporters at Alausa: “In these three and a half years as your Governor, I have seen visible proof that we can achieve unbelievable things when we all come together with no more than our belief in our dreams. “We achieved because you believed. But there is still a lot more to be done. But I am not daunted. I am not tired. And I am sure you feel the same way because we all envision a better Lagos, a Lagos of our dreams. “So, I humbly call you again, to give me your support as I seek to continue with your mandate to steer the affairs of our State. I ask you to believe again and together, let’s achieve more,” Governor Ambode said.